Here is a treat for all Star Wars fans. 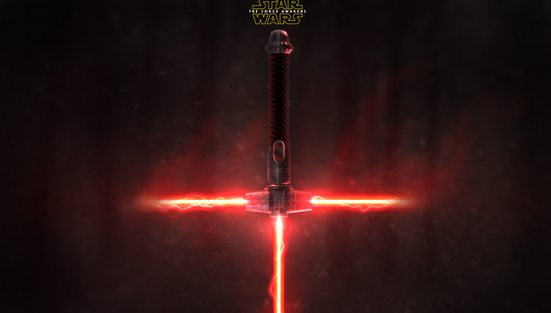 It is a collection of cool Star Wars: Force Awakens wallpapers that I have collated across the Web. Only the best have been chosen. If you have see cooler ones, please drop us a comment and we will include them immediately in the article. To download the wallpaper, just click on the image and save the image as in the new page. Have fun browsing through these! Kylo Ken is no doubt going to be one of the new stars for the Force Awakens movie. 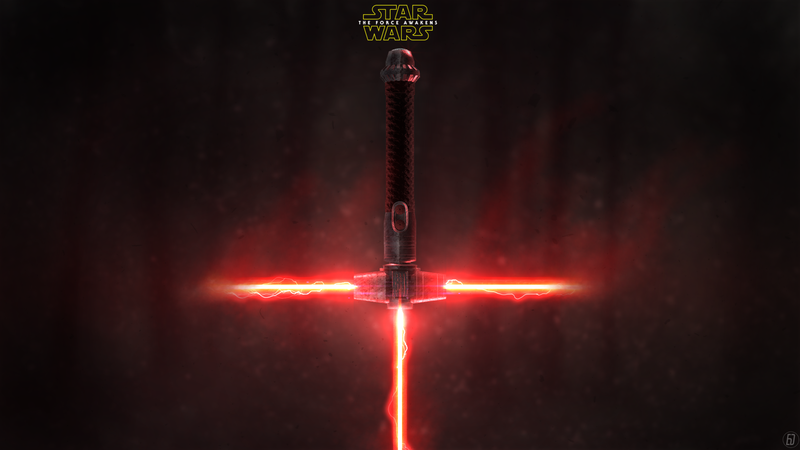 Here is a cool wallpaper depicting him holding the cross light saber. In his pose, he sure looks as menacing as Darth Varth. 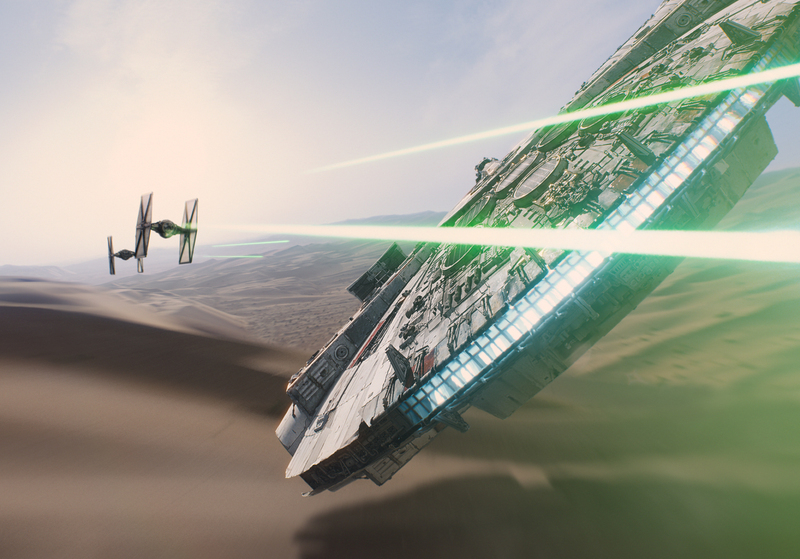 X Wing is arguably one of the coolest fighter jets in the movie. In the new movie, they are once again expected to make an appearance. 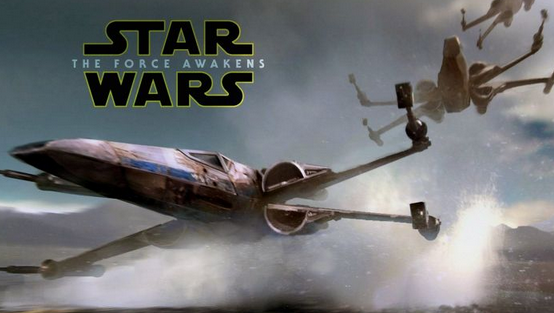 If you are a fan of the X-wing, you need to download this cool X-wing design for the Force Awakens movie. 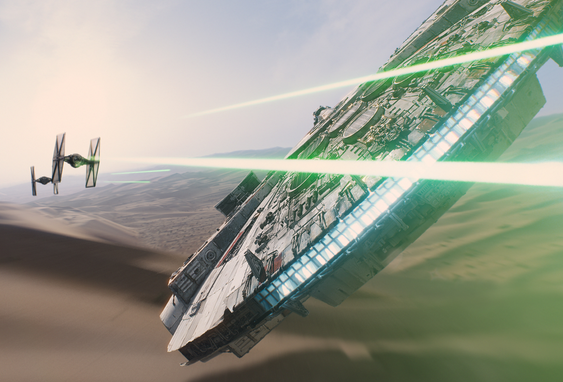 Besides the X-Wings, another staple of space ship battles is the inclusion of the Millennium Falcon. Not surprising, the new movie features a slightly different designed Millennium Falcon that managed to retain its original favor. Sometimes, all you need is a cool logo to make an outstanding wallpaper. 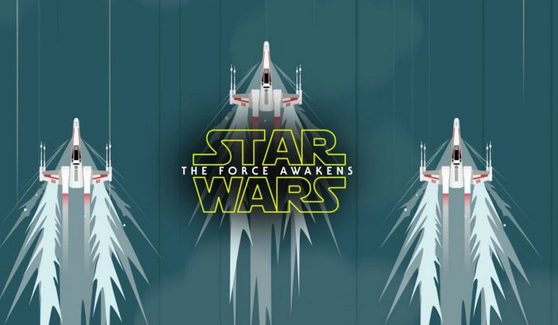 This is indeed the case here with the Star Wars: Force Awakens logo wallpaper. The classic space background is instantly recognizable and forms a cool backdrop for the logo to stand out. For those who are in the design field, you might know about this design concept called the flat design. Essentially, it is the removal of shadow and such to make the design appear ‘flat’. 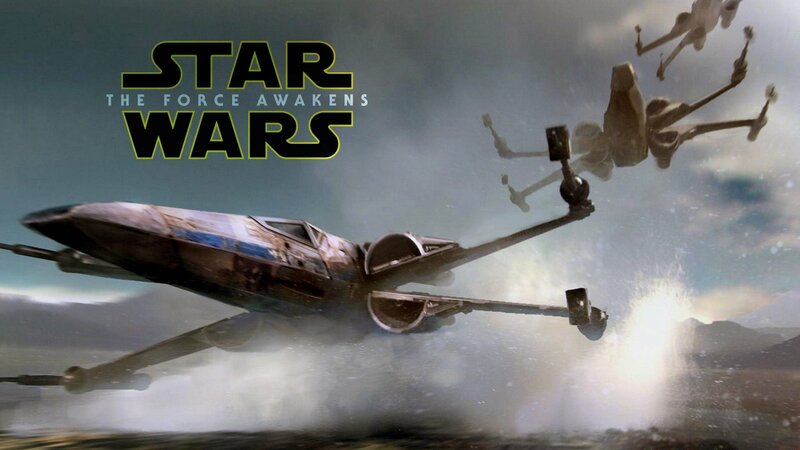 This concept has been applied to the X-wing wallpaper and it looks very nice and modern. 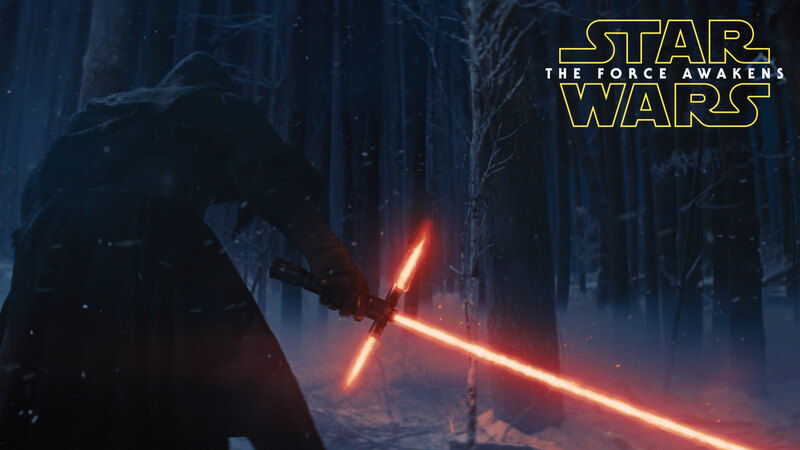 One of the most grabbing design light saber ever introduced is the crossguard light saber yield by Kylo Ren. If you love this design, then this wallpaper will surely appeal to you. 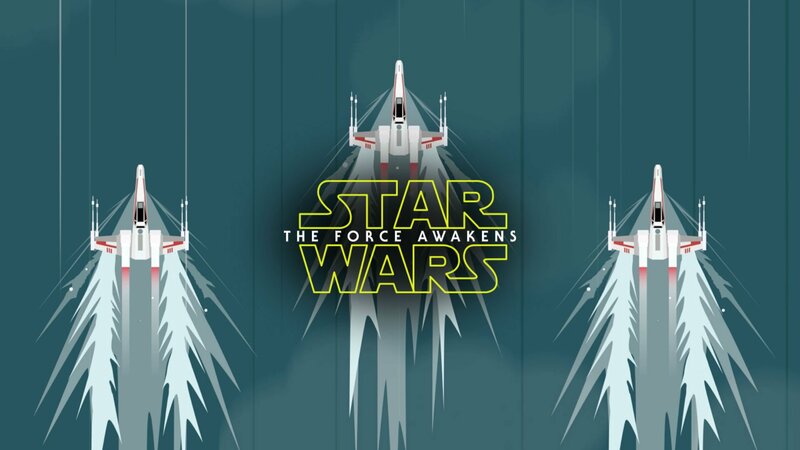 Simple but cool, this is easily one of our favorite Star Wars: Force Awakens wallpaper for 2015. Hope you enjoyed these 6 designs. As I have mentioned, if you have others in mind, please recommend them in the comments section below.